When sales and marketing leaders grasp the impact a trade show has on revenue, customer retention, and advancing the sales continuum, understandably the idea of a more robust face-to-face program, one that involves multiple shows, crosses their minds. A multi-show program heightens awareness of both the corporate and product brand(s), so aside from allocating resources for these initiatives, exhibiting in a number of trade shows during the course of the year makes perfect sense. This requires a certain degree of courage. 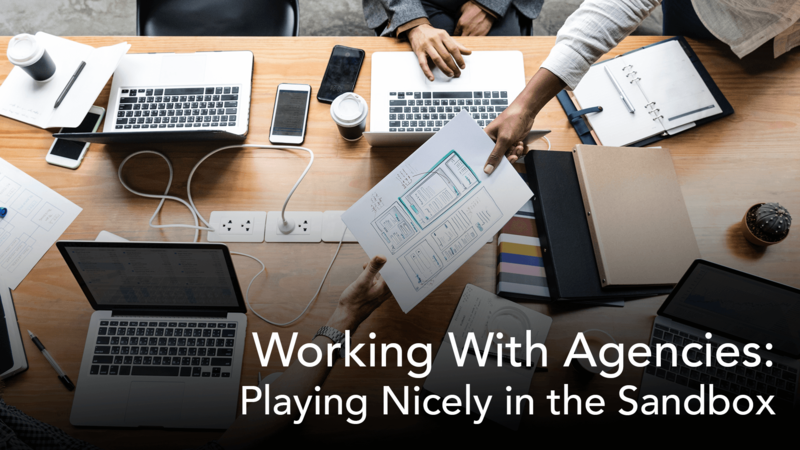 While you might be looking into shows related to your products or your corporate mission, your product managers probably hear things from colleagues along the lines of, “Oh, we really should go to that show! My brother-in-law loves it.” Or who has never heard, “Hey, here’s a show in Orlando (or Las Vegas). Cool!” As manager of the entire program, your job is to ascertain the best shows to attend based on data: number of attendees, number of attendees who fit your customer profile, number of exhibitors in your category, and so on. The most telling piece of data is the show audit. If the show is not audited, that should raise a red flag. If you’re considering a relatively small show—very targeted, for example—you aren’t going to impress attendees with an exhibit that is larger than anything else on the show floor. While large exhibits are often an attraction just because of their size, good pre-show marketing can get the right attendees to put you on their must-see agenda. Bear in mind that before the show opens, all exhibitors are on a level playing field for attracting exhibitors. If you are a first-time exhibitor, call the association or show management company and ask for help. You will find most organizers very helpful. If you already have exhibit properties, include them, of course. Review all the content that is used across the channels in your company. Digital, out-of-home, media advertising: what will the attendees associate with your brand? Trade shows make a powerful brand statement, but you can enhance that power if attendees experience your brand face-to-face because they are already familiar with some of your content assets. Think of the brand experience as layers of awareness that evoke positive responses from attendees. 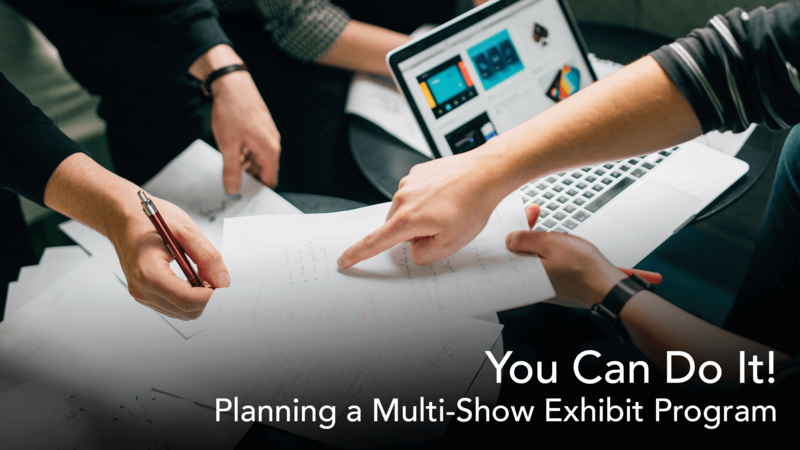 When it comes to your actual exhibit, you might currently own enough properties to cover all your shows if you have concurrent shows. Or perhaps you don’t own any properties at all! This is where rental properties are your best friend, especially if you are exhibiting at a show for the first time. There is no need to capitalize the expenditure, and you can expand or supplement existing properties with components that enhance your presence. There are so many parts and pieces you can rent—hanging signs, double decks, theaters, kiosks—that every show can look “custom.” You never have to resort to pipe and drape—you know, the table with the two chairs behind it where staff sits and looks at their phones all day. Here’s where you need a good exhibit house. Well actually you always need a good exhibit house—but you need support people who can determine items like freight, set up and dismantle, electrical services, rigging, and the myriad of charges for the details of exhibiting. You need people who understand early bird deadlines, people who can build out realistic timelines so you won’t incur late charges or rush charges, people who are used to dealing with show managers and the associations in your industry. Depending on the schedule you are putting together and the locations of the shows, you need people who understand the most economical way to ship properties from show to show. A good partner will contest erroneous invoices for you and call suspicious charges into question. Probably the one thing you don’t want to do in managing this program is to go over budget. Here is an example of a company that planned a program with scalable elements, exhibits ranging from a 10 x 10 to a 50 x 50. No matter which size exhibit the company uses, their brand identity is clear across their markets and forges connections with the audience. 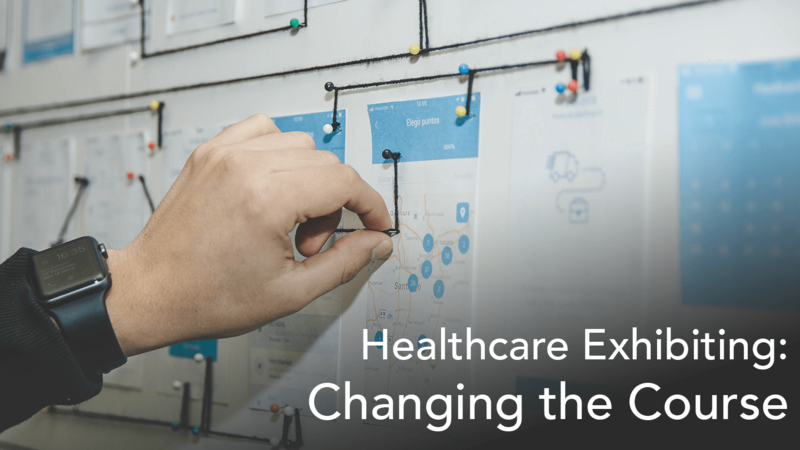 Many of our healthcare clients use the same solution. Studies have shown that most people attend only one trade show each year. If your target market is spread across multiple regions (including global markets) and market segments, a multi-show program needs to be part of your plan for the coming year. Whether you’re planning one show or many shows, before you start the process download our free guide, Creative Bravery for Face-to-Face Marketing. Arielle coordinates her clients’ creative, strategic, tactical and production resources to ensure the success of each trade show and event.